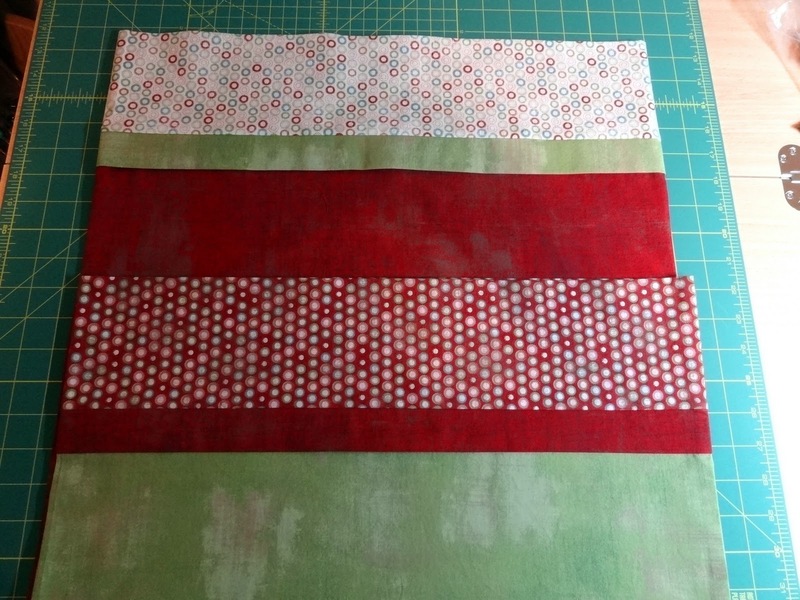 Squash House Quilts: More Christmas in January! 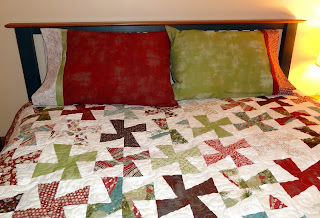 I love your quilt and pillowcases! 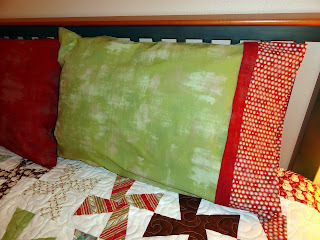 What is that fabric you used on the pillowcases, it's very interesting. Gorgeous together. Very rich and delicious Fruitcake--never thought I'd use the word "delicious" and "Fruitcake" in the same sentence but when it's fabric it's a different story. I'll be you can't wait for next Christmas. This is just so inviting! The pictures looks like it could be in a magazine. Looks great, I run out of steam when it comes to the pillow cases. Funny how I can make them for others but haven't made any for myself! 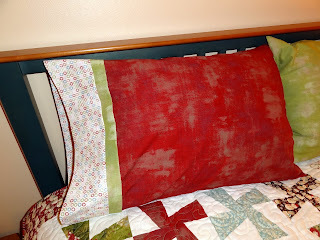 Your pillowcases turned out wonderful! They look terrific against that beautiful quilt! 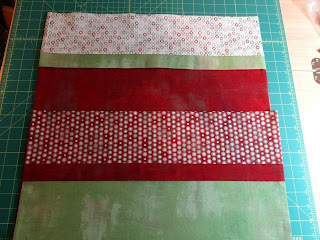 Good idea to make them while you have the quilt done and the fabric. Your going to love having those ready to pull out for next Christmas season. Looks fantastic. 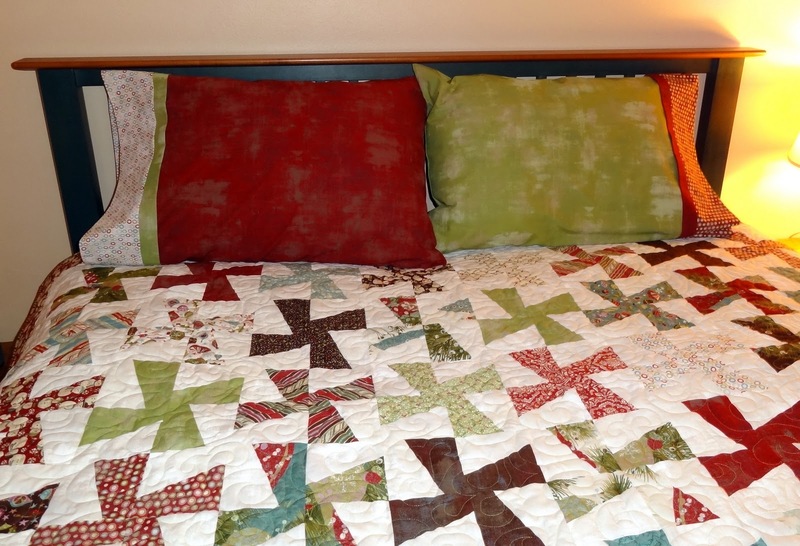 Your pillowcases look great with your new quilt. Perfect colors! How fun to have Christmas ready for next year. You are an inspiration, Candace!